CLOSEOUTS. 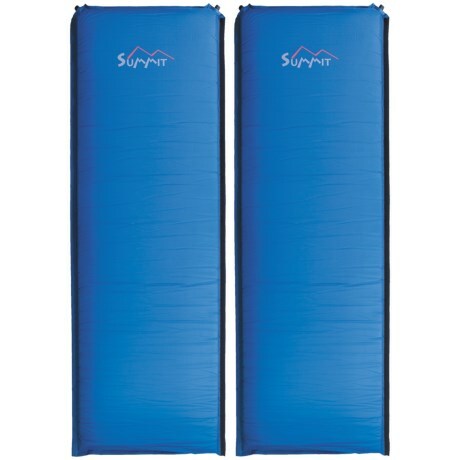 Great for use with double-wide sleeping bags, ALPS Mountaineering's Summit double air pads are self-inflating and can be used separately or attached for a sleeping space large enough for two people. Available Colors: GREEN, BLUE, STEEL BLUE.